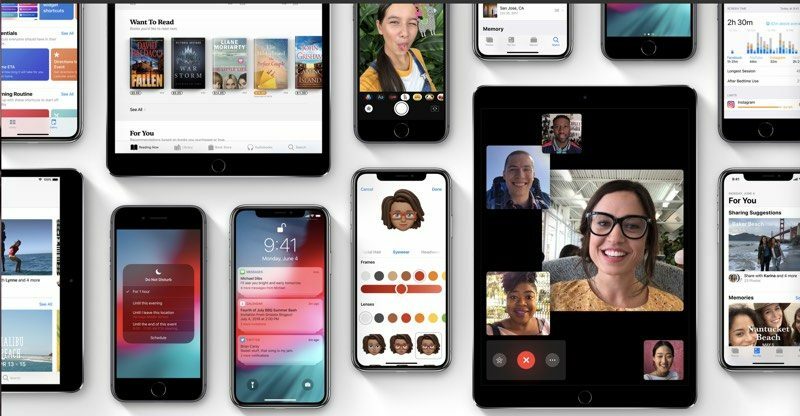 Apple is today releasing iOS 12.0.1, the first official update to the iOS 12 operating system. iOS 12.0.1 comes three weeks after Apple released iOS 12. The update will be available on all eligible devices over-the-air in the Settings app. To access the update, go to Settings --> General --> Software Update. iOS 12 users should be able to download iOS 12.0.1 when it is released at 10:00 a.m. Pacific Time. Today's update fixes several high profile bugs that have been plaguing iOS 12 users. It resolves an issue that could cause some iPhone XS devices not to charge when connected to a Lightning cable, an issue that was discovered shortly after iOS 12 was released. Reports suggested multiple iOS 12 devices were affected rather than just the iPhone XS, and it's likely that if other devices are impacted, the new update solves the problem. Other bug fixes in this update include a reorientation of the "123" number key on the iPad, which was moved in the iOS 12 update and swapped with the emoji/language key, a fix for a problem that could cause subtitles not to appear in some video apps, and an issue where Bluetooth could become unavailable. For additional details on everything new in iOS 12, make sure to check out our roundup. Alas, no [stated] fix for LTE issues. This change has annoyed the **** out of me when typing on the iPad! Glad they'll be reverting it back to how it was on iOS 11. The only thing I want fixed is the absolutely absurd method for selecting your camera in FaceTime. This may possibly be the dumbest thing Apple has ever done. When will the update come for the calibration of your terrible new oled screens. They are way to warm. Consider this a warning. If it’s not a simple software fix and a hardware fix. Apple needs to acknowledge it. I paid way to much for this promoted as superior display to end up as being the worst garbage with a yellow tint to the display. I’m gathering thousands of other complaintants and will bring class action. I want my money back on the iPhone X right now. If your listening Apple today is day 17 of this garbage iPhone X’s Max. If you want my mouth to shut then you need to reach out to me with a full refund and opportunity to get my iPhone X back. Apple you need to be consistent in your product. Especially the displays. And especially when your promoting as the best ever. It’s a lie and you know it. So now I’ll be expecting the phone call from that ******** named John in your Texas office. Can't you just turn off true tone? I turn it off on my XS and its bright white. It is not 9AM in California. Remember the solar panels on top of the Apple spaceship first have to catch sufficient sunshine before the servers can start. I thought I had gone crazy or lost my typing skills cause I miss clicked this all the time. Sanity restored. Quick updates to address the issues. Updates that support iPhones that are up to 5 years old. I'm laughing at Android fanboys talking smack at anything Apple does that appears to be a mishap. I mean, can you imagine buying a Note 9 in 2018 for $1200 and it comes with last years Android OS and won't have the latest one for 3-6 months? If you are within your 14 day return window, return it to Apple and get your money back. If you didn't return it during the 14 day period, that is your fault.